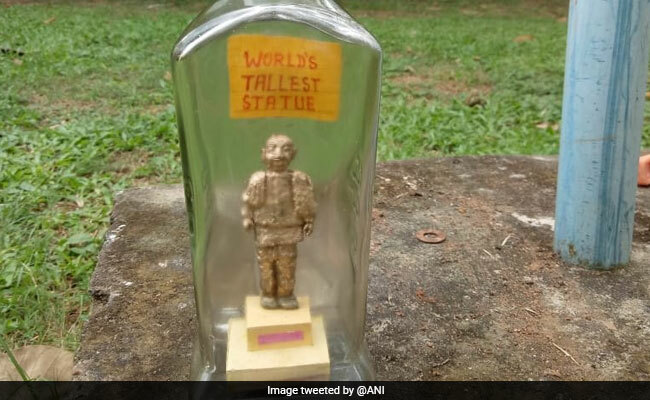 Artist L Eswar Rao has used soap to make a three-and-a-half inch version of the world's tallest statue of Sardar Vallabhbhai Patel on Rashtriya Ekta Diwas today. Artist L Eswar Rao's arty tribute to Sardar Patel. 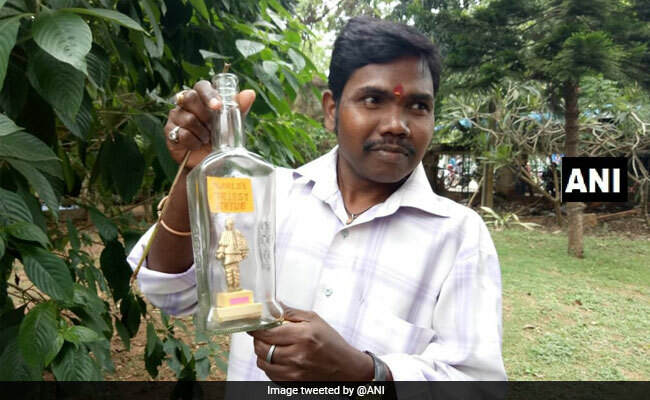 A Bhubaneswar-based artist has created a miniature version of Sardar Vallabhbhai Patel's statue inside a glass bottle. Artist L Eswar Rao has used soap to make a three-and-a-half inch version of the statue on Rashtriya Ekta Diwas today. "It took me three days to complete this miniature art in bottle. I used soap to make it. 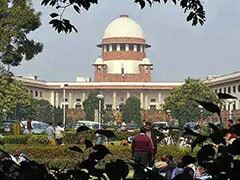 I wanted to wish the great freedom fighter Sardar Patel ji in my way on his birth anniversary," Mr Rao said. The National Unity Day is observed every year on the birthday of Sardar Patel. On his 143rd birth anniversary, Prime Minister Modi inaugurated a 182-metre long statue on Wednesday as a mark of respect to the first home minister of India. The 'Statue of Unity', which is located in Gujarat's Sadhu-Bet Island, occupies over 20,000 square meters and is surrounded by a 12 square kilometre artificial lake. "It is one of the greatest moments in my life today. Because of your blessings, I have been given the honour to be the one who dedicates this amazing statue to the nation," PM Modi said during inauguration. The statue depicts Sardar Vallabhbhai Patel, India's first Home Minister, wearing a traditional dhoti and shawl, towering over river Narmada. Iron was collected from all over the country for the statue of Sardar Patel, also known as the Iron Man of India.The statue can withstand severe wind velocity and severe earthquakes.